We are thrilled to announce a brand new partnership with Craft & Crumb launching just in time for our Great Rainbow Bake campaign in May. Craft & Crumb is an award-winning company selling beautifully designed baking kits containing everything you need to bake homemade cakes, biscuits, cupcakes and other yummy goodies. Set up by two busy mothers, Louise Nicholson and Kate Horne, Craft & Crumb has taken the hard work out of baking delicious treats with family. Craft & Crumb kits come with the right quantities of everything you need to bake and decorate your cake, apart from a few basic fresh ingredients like butter and eggs. They even include disposable cake and cupcake pans to save on washing up! 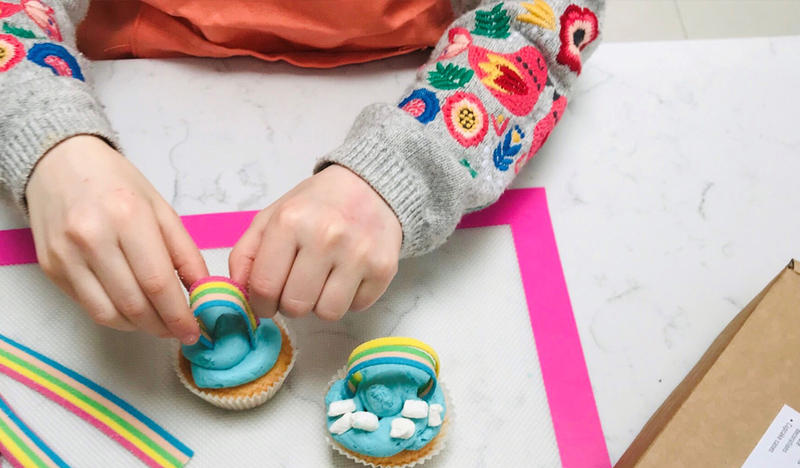 Take on the challenge of rainbow baking for the Great Rainbow Bake with Craft & Crumb’s wonderful Rainbow Cupcake kit and Rainbow Unicorn Cake kit and help raise vital funds to help give families with a seriously ill child precious time when it matters most. £2.50 from the Rainbow Cupcake kits and £5 from the Rainbow Unicorn Cake kits will fund vital support to families caring for a seriously ill child. Buy yours here.